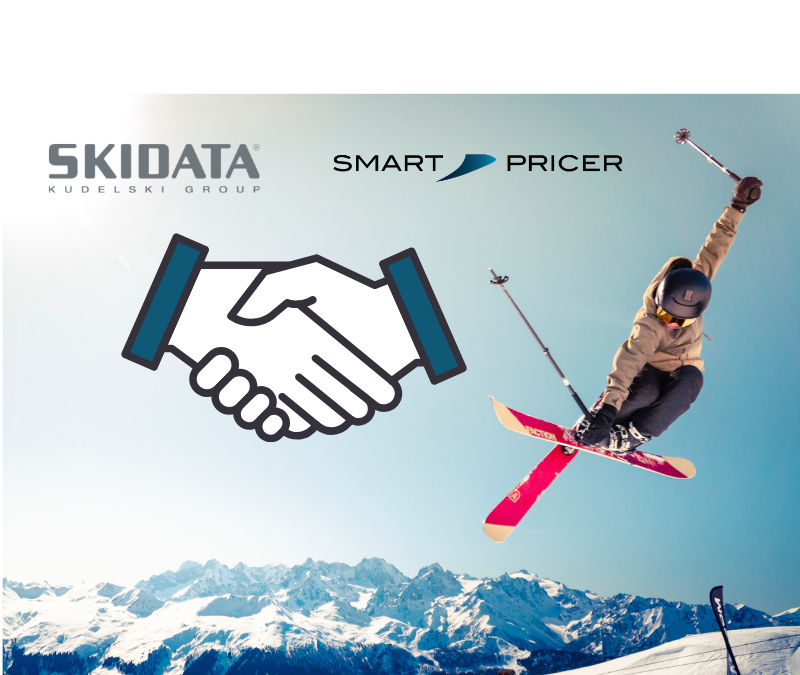 Salzburg; Berlin, 15.04.2019 – SKIDATA and Smart Pricer are pleased to announce their partnership in price optimization for ski resorts. As part of the partnership, Smart Pricer’s innovative software has been integrated into SKIDATA’s ticketing system. This integration allows for the first real-time price adjustment solution for ski resorts and mountain lifts, as well and provides the infrastructure for future dynamic pricing opportunities for parking, entertainment venues, and sporting arenas. The integration gives SKIDATA customers direct access to Smart Pricer’s Smart Pricing software via Plug and Play. Mountain lift only have to give the green light and the two partners take care of the setup. With this step, they are supporting the growing trend of dynamic pricing in the mountain lift sector. Smart Pricers Service is based on real-time pricing. The underlying forecast algorithm uses historical data, dates of holidays, weather conditions, and dozens of other features such as bed occupancy to predict the number of skiers for each day of the season.This analysis is done in real time and the algorithm automatically suggests optimized prices. SKIDATA’s customers can update and accept ticket prices with one click, while retaining full control over, the minimum and maximum value of price fluctuation and the pace of the price adjustment. Swiss Kudelski Group (www.nagra.com), a leading provider of digital security solutions. Smart Pricer provides ski resorts, cinemas, sports clubs and entertainment venues around the world with the tools they need to increase ticket revenue. The Berlin-based start-up has more than 10 years’ experience in pricing for airlines and has already priced more than 30 million tickets. Smart Pricer is the partner for many top companies, such as the Swiss Zermatt Bergbahnen AG, Germany’s #1 dinner show Palazzo and the world famous sports club FC Bayern Munich.